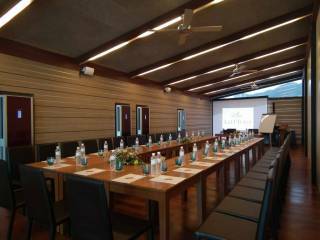 La Flora Resort Patong provides a meeting room with a 15-seat boardroom table. The outdoor full meeting space either poolside or at the rooftop Surface Bar, provides an ideal setting for a group dinner or other special private events. Included is a breathtaking view over Patong Bay. There is a wide array of dining options, including banquet facilities.